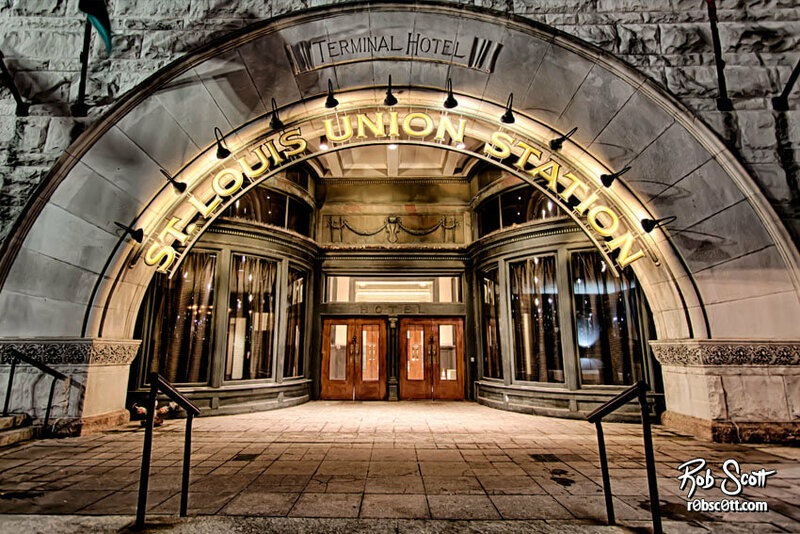 At one point, St. Louis’ Union Station was the busiest passenger terminal in the world, but by 1978 it had ceased operation. By 1985 it was redeveloped as shopping and entertainment district with a hotel. The renovation left the beauty of the original architecture in many places such as the entrance to the Terminal Hotel. © 2019 Rob Scott, LLC.